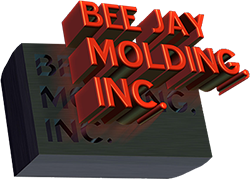 Custom injection molding needs are specific, so if you have a product in production and are looking for a higher level of custom injection molding, Bee Jay Molding is the company to call. Get personalized mold design with 3D CAD and pre-fabrication injection flow analysis. We'll help you develop the most efficient mold possible for your product and assist you in making existing molds more cost-effective. We're family-owned-and-operated, and you'll work with the business owners from the get-go. Much detail goes into injection molding, and our ideas based on our many years of experience will help you with your project. Get the injection-molded components you require, custom-designed to your exact specifications. 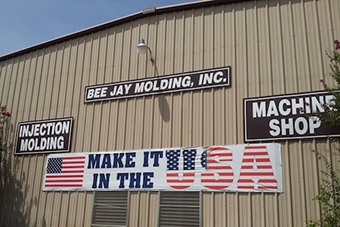 Bee Jay Molding of Boerne, TX, operates a full-service thermoplastic injection molding facility, providing customers with the ability for short- to long-run and low- to high-volume production. Our family-owned company makes custom-injected plastic components, and our post-production facility offers ultrasonic welding, assembly, and packaging. We've been in business since 1974, and our can-do attitude keeps us in the forefront as we continue to grow. We understand the difficulties involved with custom injection molding and the development of new products and active troubleshooting projects. We invite you to stop by and talk to us today. Bee Jay Molding is conveniently located off I-10 in Boerne, with easy access to Austin, Houston, and Dallas. We'll help you make decisions quickly based on a lifetime of experience in the custom injection molding business.